The Ministry of Labour, Invalids and Social Affairs investigated wages in 2,000 businesses with an average of 360 employees in 18 cities and provinces nationwide in 2016, with results indicating an increase from 2015. Average salaries in 2016 were estimated at 5.71 million VND (over 252 USD) per month, representing a year-on-year rise of 7.5 percent. 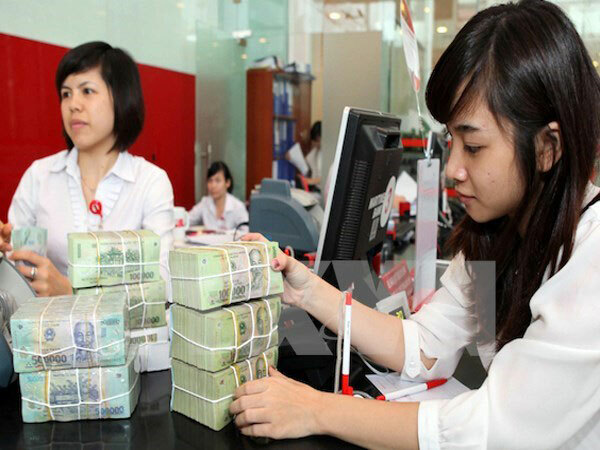 The figures in State-run businesses and join stock companies with State capital contribution were 7.08 million VND (313.5 USD) and 6 million VND (265.7 USD) per month, up 1.85 percent and 2.56 percent, respectively. Wages at private companies and foreign direct investment (FDI) businesses stood at 5.47 million VND (242.2 USD) and 5.69 million VND (252 USD) per month, respective year-on-year increases of 10.06 percent and 8.58 percent. Average monthly income in 2016 was estimated at 6.03 million VND (267 USD), up 5.4 percent against 2015. The figure in State-owned enterprises was 7.75 million VND (343.2 USD) (up 2.78 percent); joint stock companies with State capital contributions 6.48 million VND (286.9 USD) (up 0.15 percent); private companies 6.04 million VND (267.5 USD) (up 7.86 percent); and FDI firms 5.7 million VND (252.4 USD) (up 6.74 percent)./.